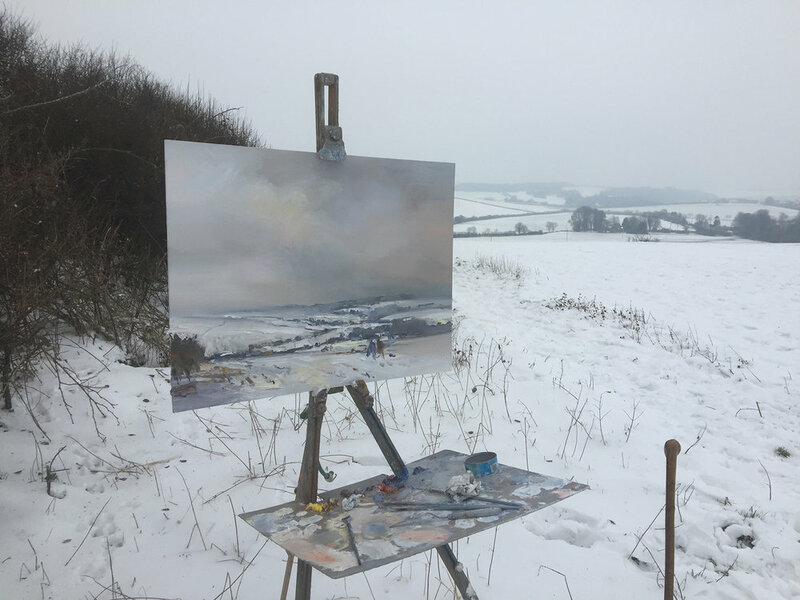 It has been a while since I had the opportunity to paint the snow in Dorset. I paced all my equipment on to a sledge and hiked it over to the fields a mile away. It was bitterly cold and I wasn't sure how long I would be able to stand out in it. I have come to realise that it is never as bad as you think and after six hours my hands were getting a little cold. I did get rescued in the form of hot soup made by my friend Damelza and delivered by my wife and daughter. The snow had all gone the next day.